How does a parent introduce a love of architecture and urban planning into a child’s life? 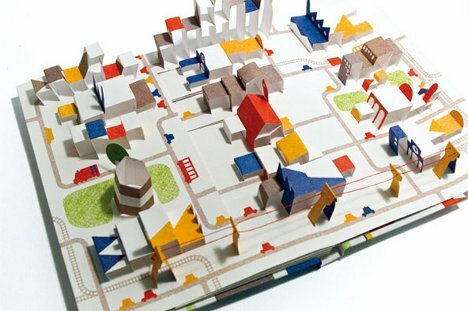 The Popville pop-up book might be the perfect accessory. The book, by Anouk Boisrobert and Louis Rigaud, tells the story of a single house that over time becomes the center of an entire bustling town. 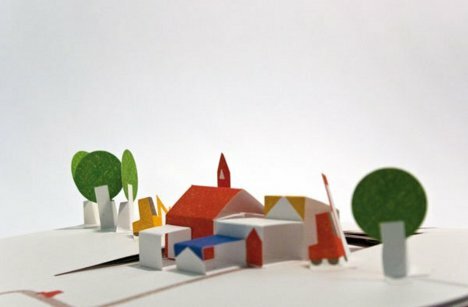 The book begins with a single pop-up house at the end of a street. With every turn of a page, more buildings and streets begin surrounding the house. Eventually, a town begins to form. By the end of the pictorial story, a town complete with electrical wires, a railroad, and plenty of buildings adorns the open book. The transformation from single house to whole village is a sweet and calm journey that could inspire just about anyone to be more interested in the urban growth happening all around us.